In a new study published in this month’s Nature magazine, in which Netanya Sandler, MD, Division of Infectious Diseases, Department of Internal Medicine, University of Texas Medical Branch at Galveston and Daniel Douek, MD, PhD, Human Immunology Section, Vaccine Research Center, National Institute of Allergy and Infectious Disease served as lead authors, Yerkes National Primate Research Center scientists were able to determine that treating SIV-infected rhesus macaques with type 1 interferon, a protein that triggers antiviral responses and inflammation, can have both beneficial and detrimental effects on the development of disease. Researchers working in this Yerkes-led study used high-tech RNA-sequencing technology in order to study genome-wide expression, known as transcriptome, of antiviral responses in monkey tissues throughout the stages of the study. 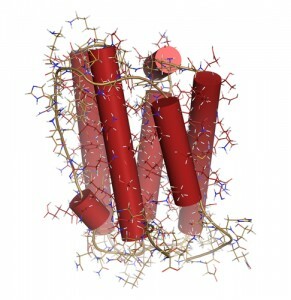 This research was crucial in determining that, although blocking interferon at the onset of infection may be a viable strategy in the treatment of HIV-related diseases, it is equally important to consider the viral status of each patient, since interferon blockade may trigger a rebound in virus levels in chronic infection. In this study, a new version of the rhesus macaque genome was used, which has three times the number of annotated genes than previously available versions. Interferon is the central, most important component of an innate immune response against viruses. The interferon response stops in a few weeks, when most viral infections are cleared or controlled. The HIV/SIV infection, however, persists indefinitely, so the interferon response continues as well. Due to this characteristic of interferon, scientists have wondered for years whether it could be a significant contributor to disease in people infected with HIV. This newly-published study tested this directly, since researchers were giving interferon to one group of monkeys, while a second group was being administered an inhibitor.